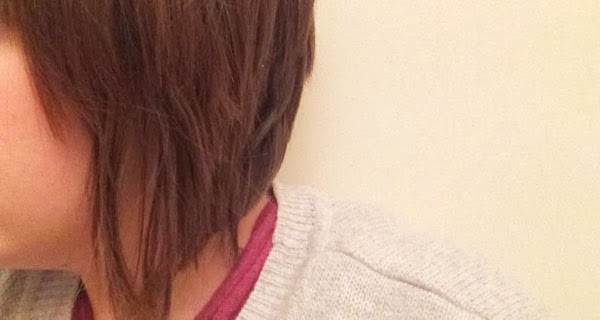 A while ago, on my previous blog I wrote a bit about my experience with trichotillomania. A type of OCD, trichotillomania causes those who have it to pull their hair out. It usually happens when stressed, but can also take place when the person is bored, or purely because they feel they have to do it – all of these reasons apply to my experiences anyway. It started when I was a teenager, and was mostly confined to pulling out eyebrow hair or eyelash hair. Then it developed to pulling out hair from my head, leaving me with a slight tuft that stuck up (yes, really), where the new hair was growing back. Did this stop me? Did it hell. I did it less when I was busy or preoccupied in any way, so if I was out with friends I usually didn’t feel the need to do it, but going into my adult life, I probably do it more than ever. Not because I’m any more stressed or bored, maybe not even that I’m any more “obsessed”, but rather it has just become incredibly normal for me to do it and I can’t see myself going a substantial amount of time without pulling. The root (excuse the hair-related pun) of the obsession with pulling the hair from my head seems to be the texture of the hair – if it’s dry or slightly curly, it’s got to go. I don’t know how it developed – I have for a while now considered myself to be mildly OCD, not just for the trichotillomania, but also due to my need to plan and overthink situations from every angle so that I can deal with them. Over recent years I have also had several anxiety attacks, usually caused by that feeling of being ‘stuck’ in a particular situation and unable to get out of it. Luckily, it hasn’t happened for a while now. In comparison to other sufferers of OCD it might seem insensitive to them to consider myself to be even mildly obsessive compulsive, but sometimes you do have to give the “issue” a name so that it makes sense to you. I wanted to share my ‘story’ (if you can call it that), as I was inspired by Becky Bedbug’s dermatillomania experience, and a recent #lbloggers chat that discussed being personal and open in blogging – so there we have it. Do you, or anyone you know have trichotillomania or dermatillomania? Maybe another compulsion? I’d love to hear your thoughts on the topic.